Geocaching is a great way to get the whole family working together for a common goal, get active and have fun at the same time. Think of it as a hiking scavenger hunt. First, you log on to www.geocaching.com and choose a geocache to search for. Next, use your GPS (or GPS enabled phone) to navigate to the location. A geocache (or cache) is a container that holds a log book to track the people who have found it in the past as well as small treasures or trinkets that you may take as a memento of your find. Then you leave a treasure for the next person and replace the cache just as you found it. Congratulations, you’re a geocacher! So, why geocaching? While some children with decreased endurance and muscle tone may hesitate to go on a hike for the sake of hiking, they may be more engaged in a treasure hunt. Because the website gives valuable information regarding difficulty of the terrain, length of the hike, and size of the cache, you can tailor your family’s outing to the time you have available and the endurance levels of your family members. The website also provides a hint as to where the item is hidden (e.g. look near the fence). Beyond the physical benefits of exercise, research has shown that children with ADHD and autism spectrum disorders, as well as typically developing children benefit from exercise with regard to increasing attention and on-task behaviors and decreasing maladaptive behaviors. 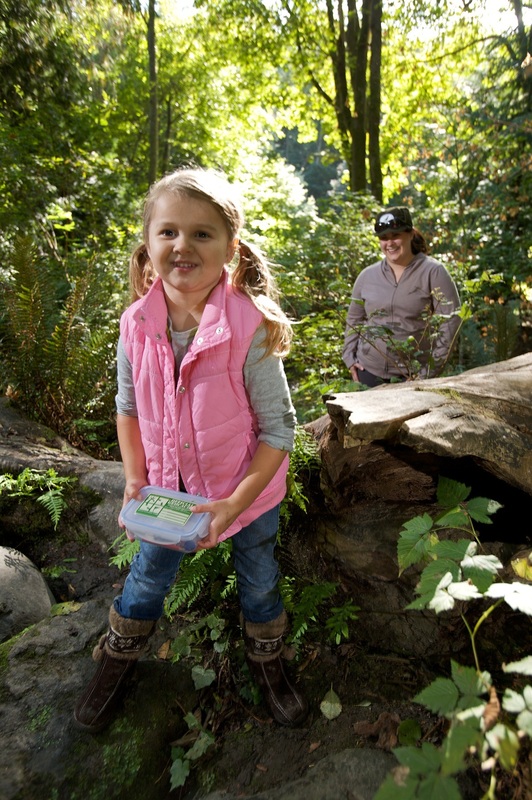 An activity like geocaching can provide the physical outlet and sensory input that your child needs, while giving the whole family an opportunity to participate in a fun bonding activity together. Check out a short video about geocaching here, or jump right into searching for your first cache! Have fun!